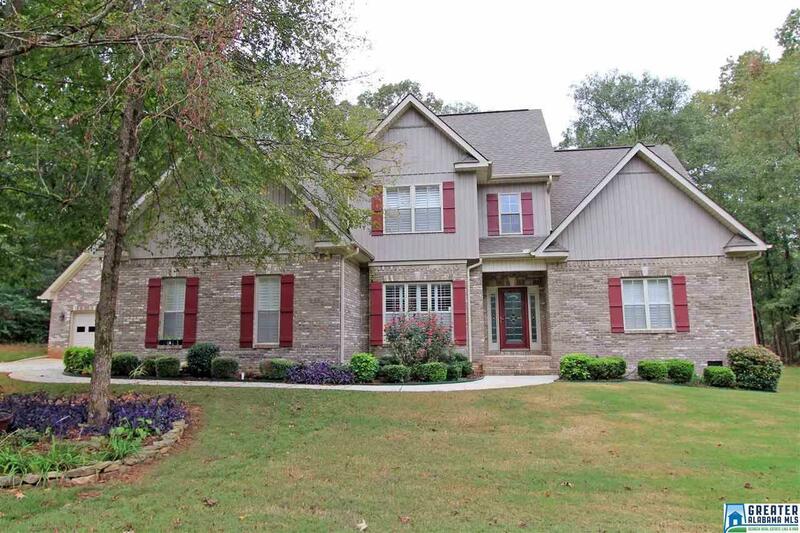 Stunning 4BR 3.5BA Home in Oxford! Prepare to be amazed at the fantastic outdoor living, which includes an awesome pavilion with stacked rock pillars, ceiling fans, recessed lighting, stamped concrete floor & huge patio with fire pit. There is storage & parking galore w/side entry double garage, detached single garage w/pull down attic storage, additional storage building & walk-in attic storage from 2nd floor. This pristine home has been well-cared for & is MOVE-IN READY! Features include: Family Room w/rock fireplace; Formal Dining Room; Kitchen w/breakfast bar, granite counters, tile backsplash, pantry, breakfast nook; Keeping Room; Spacious Master Suite w/dual vanity, jetted tub, separate shower, water closet & an amazing oversized walk-in closet! Upstairs Rec Room is a wonderful extra living space - perfect for kids or guests! Bedrooms 2 & 3 share a Jack-n-Jill bath - each with its own vanity for busy mornings. Bedroom 4 offers a walk-in closet. Very nice back porch. Call today!